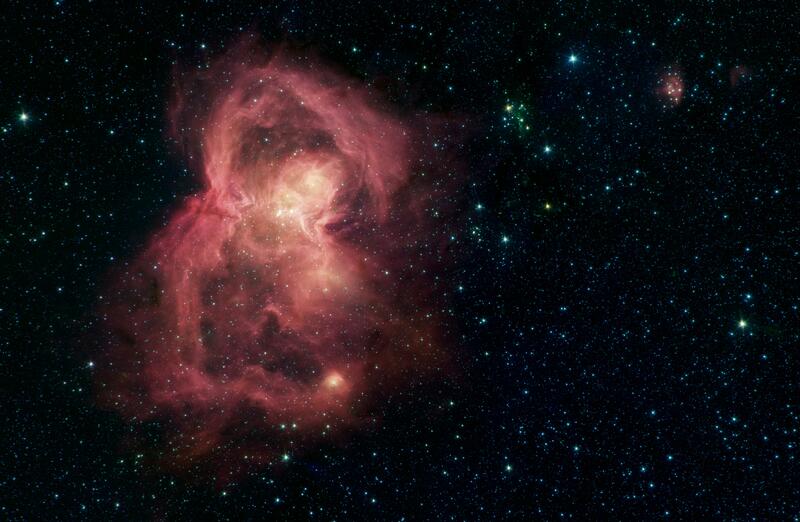 The Spitzer Space Telescope’s keen infrared vision is providing new insights into a vast stellar nursery where hundreds of infant stars are shining amid bubbles of hot interstellar gas blowing away from the most massive stars in the region. Known as W40, the butterfly-shaped nebula surrounds a dense cluster of stars located about 1,400 light years from the Sun, about the same distance as the more famous Orion Nebula but on the opposite side of the sky. Orion and the W40 region are two of the nearest in which stars with upwards of 10 solar masses have been observed in the process of forming. 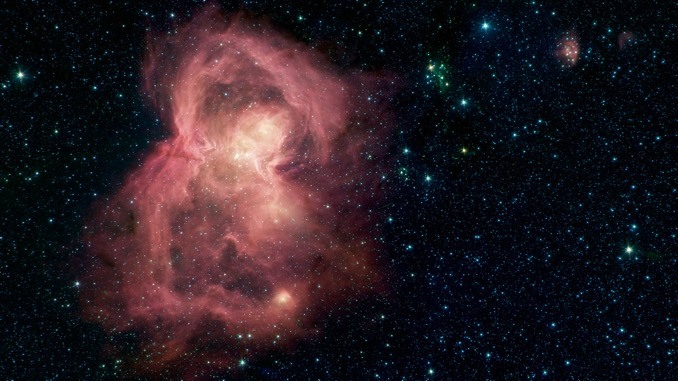 This image was observed as part of a Spitzer Legacy Survey.